If you arrive into Salt Lake the day before the tour, which most people do, please let us know if we can book your lodging for you. 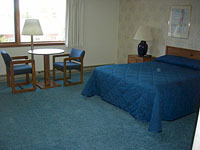 We offer a good rate at the downtown Crystal Inn, which has a free airport shuttle and a good, free hot breakfast buffet. The flight to Yellowstone departs from the Salt Lake City Airport. While we can generally offer you a choice of two flights, the morning one is almost always cheaper than the afternoon flight, and if you choose the later one there may be a surcharge. Please note that today is an unescorted part of the tour. What this means is that you do not have a tour guide or one of our staff with you for most of the day. 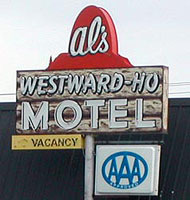 You will fly from Salt Lake To Yellowstone, where one of our guides will pick you up at the airport, and take you to Al's Westward Ho, the motel at which you are staying. This is right next to our Cafe. 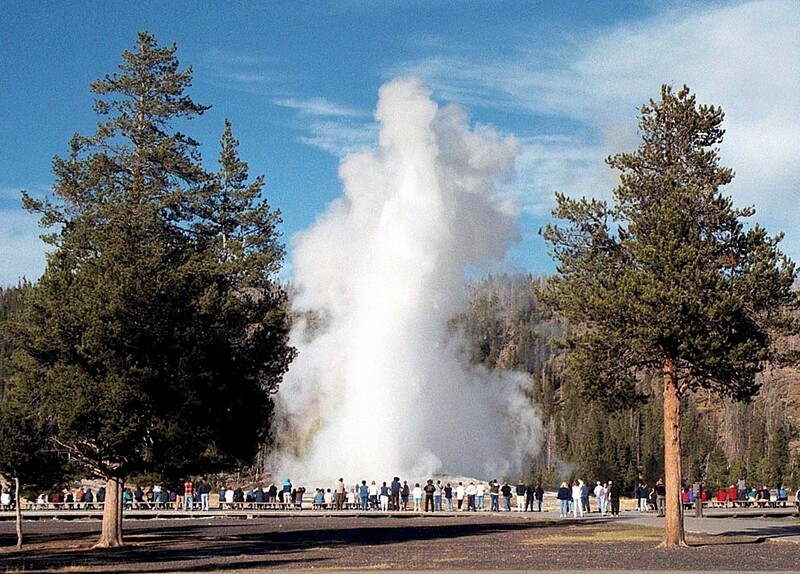 After checking in you can explore the town, take a walk through the forest into Yellowstone, go to the Grizzly and Wolf Discovery Center (a must see) or check out a movie at the IMAX. 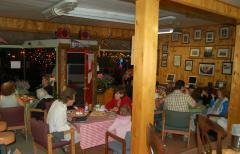 Supper at the Cafe is included in the tour price. Payment And Cancellation Details: CANCELLATIONS WILL NOT BE ACCEPTED FOR THIS TOUR. Changes will also not be accepted, and refunds will not be given. Please consider purchasing trip insurance as our cancellation policy is strictly enforced. The payment schedule is as follows: This tour has two air legs. The cost of the flights, plus half of the remaining balance will be charged any time from when you make the booking. The final balance will be charged 30 or fewer days from the tour date, at our discretion. 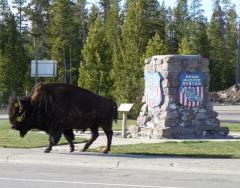 One night's accommodation is included at a self catering studio at Yellowstone Studios and Cabins in West Yellowstone. 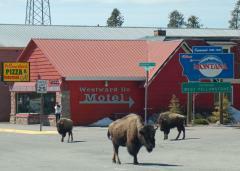 If lodging there is sold out, you will stay at Al's Westward Ho Motel or similar in West Yellowstone. There will be a checked luggage fee on the flights. This is not included in the tour price and you will need to pay it.